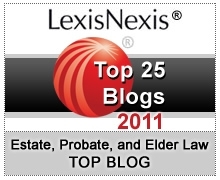 North Carolina Estate Planning Blog - National Elder Law Month: What Does Medicare Cover for Nursing Homes? National Elder Law Month: What Does Medicare Cover for Nursing Homes? As part of National Elder Law Month, our North Carolina elder law attorneys are providing a series of posts to help educate senior citizens and their loved ones who care for them about their legal options. Medicare helps many seniors afford necessary healthcare services. All individuals over age 65 qualify for Medicare programs if they meet certain citizenship and asset criteria. Coverage may begin earlier for those who have received disability benefits for more than two years or who have end-stage renal disease and meet a 3-month waiting period. There are asset and income limits that also affect eligibility, which is why it’s important for seniors to meet with an elder law attorney who can offer the best options for structuring assets to remain eligible for disability benefits. Until January 2013, patients in a nursing home facility needed documentation that their condition was improving in order for Medicare to continue providing coverage. A federal court ruling has now made it possible for Medicare coverage to continue in order to preserve health or slow down failing health. For nursing home care, what does Medicare cover? Certification from a doctor stating that the patient requires in-patient care only available at a nursing facility. The nursing home care is covered 100% for the first 20 days, and then the patient is responsible for a co-payment up to 100 days. After 100 days, the patient is responsible for satisfying the balance of healthcare costs. Other benefits programs, such as Medicaid, may help reduce the financial burden that long-term care places on seniors and their family members. Many programs have complicated applications and restrictions that can be overwhelming to navigate by oneself. A North Carolina elder law attorney can help explain the programs that will apply to your situation.